Hollis Johnson/Business InsiderMoviePass’ parent company gave itself room to sell more stock to the public. Helios and Matheson, the parent of MoviePass, is required to reserve millions of shares of stock as part of a series of debt agreements. The company’s creditors have agreed to reduce the number of shares it has to set aside. The move could free the company up to sell new shares to the public, something it’s done repeatedly to stay in business. However, the agreement came around the same time that the investment bank that has been selling shares on the company’s behalf announced it was cancelling their contract. 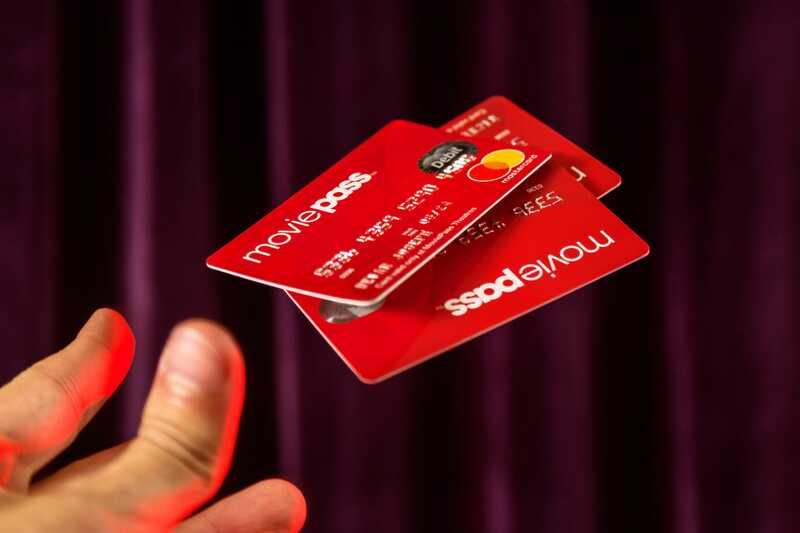 MoviePass’ parent company just gave itself more wriggle room to issue new shares – at the same time the partner it’s used to repeatedly sell new stock to shareholders cancelled their contract. Helios and Matheson’s creditors have agreed to reduce the number of shares the company needs to set aside for notes it issued that can be converted into stock, the company said in a regulatory document filed with the Securities and Exchange Commission on Thursday. Additionally, the company essentially reached an agreement with its creditors to cancel a convertible note deal it agreed to in June, meaning it no longer has to set aside shares for that either. “Following the consummation of the transactions contemplated by the [agreement], all of the June convertible notes have been cancelled,” the company said in the regulatory document. The moves could breathe new life into MoviePass. Helios and Matheson has repeatedly sold new shares on the market to fund the movie ticket service’s ongoing losses. But last week it essentially warned that it had run out of room to issue new shares, thanks largely to the number of shares it had to set aside to cover its convertible notes. Under the deals announced Thursday, the number of shares the company has to reserve for its debt fell by about 43%. Previously, under the debt agreements it reached in November, January, and June, Helios and Matheson had to set aside twice as many shares as it was obligated to issue should its creditors choose to convert their notes into stock, according to its past regulatory filings. As of last week, it was obligated to keep in reserve 5.3 billion shares thanks to those terms, according to a proxy statement it filed with the SEC. The problem for Helios and Matheson was that shareholders had only authorised it to issue 5 billion shares, and it already had nearly 1.4 billion shares outstanding before the convertible notes. As part of the new deals, the company’s creditors dramatically reduced the number of shares it needs to keep in reserve for its notes. For its November notes, it now only needs to set aside the same number of shares that it’s obligated to issue if they are converted. For its January notes, it now needs to set aside 125% of the shares it’s obligated to issue. And it now no longer has to set aside any shares for its June notes, because those have been replaced with non-convertible debt. The company owes $US20.4 million under the November notes, $US29 million under the January notes, and $US20.4 million under the June notes. All told, the company now needs to set aside an estimated 3 billion shares. That gets it well under its 5 billion total share cap. And it could soon have plenty more room. It’s seeking authorization from shareholders to do a reverse split of its stock – the second in three months. The move, which goes before investors on October 18, could reduce the company’s share count to as little as one five-hundredth of its current total. Because the number of shares it’s authorised to issue wouldn’t be reduced by such a move, the split would dramatically increase the number of new shares it could issue. But the company may have a tough time selling new stock to the public. In the same regulatory document it issued Thursday, it disclosed that Canaccord Genuity, the investment bank that had been selling its stock to the public on its behalf, has alerted it that its terminating their agreement as of October 11. In April, Helios and Matheson announced that it would be selling up to $US150 million worth of shares in dribs and drabs on the open market and had hired Canaccord to manage those sales. To date, it’s sold $US126 million worth of stock under that authorization, the company disclosed in its regulatory filing Thursday. Canaccord’s cancellation of the agreement comes despite the fact that Helios and Matheson could still sell more stock under that plan – and plenty more under other authorizations. “As a result of the termination of the Equity Distribution Agreement, no further offers or sales of the company’s common stock will be made pursuant to the company’s at-the-market offering,” Helios and Matheson said in the regulatory filing. Representatives of Canaccord and Helios and Matheson did not respond to emails seeking an explanation for Canaccord’s move. The company could potentially sign a deal with another investment bank to sell its shares to the public. Helios and Matheson has been contending with ongoing monthly losses in the tens of millions of dollars thanks to its money-losing subscription movie ticket service. It has funded those losses – and kept itself in business – by selling hundreds of millions of shares of its stock to the public. The company’s share price fell largely in tandem with those massive stock sales. As it did, the number of shares the company had to set aside for its convertible notes went up in an inverse ratio.